I’ve been up to my ears in a new book hence the rather sporadic posting of late. It should be out in October. I’ll post more about it when it’s up online. 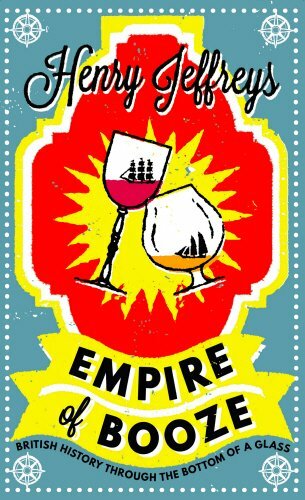 Meanwhile a paperback of my last book Empire of Booze will be out in May. Not only does it have a spanking new jacket but it’s been updated for 2018, this is a euphemism for all the typos that I noticed have been corrected. It’s therefore about 6% better than the hardback despite being cheaper. To celebrate I’m going to be reading at the Blackheath Bookshop (this is actually a Waterstone’s but without the branding) on Thursday 31st May at 6.30pm. I’ll only read for 15 minutes and then we can get stuck into the all the free gin that I’ve accumulated in the last couple of years. Honestly there’s going to be so much gin. I might have some water and prosecco for non-gin drinkers but mainly it’s all about the gin. . . . and the book. Please RSVP by emailing enquiries@theblackheathbookshop.co.uk or calling 02034091463. Click on the jacket for more information. So if you’re in South East London please do come and if you’re not, do buy the book. It’s 6% better than the hardback. This entry was posted in Books and tagged Blackheath, Books, empire of booze, Greenwich, Lewisham, Waterstone's. Bookmark the permalink. I am afraid I won’t be able to make it, although I’d love to. And I have the (hardback) book already… But I will certainly buy the new one when it is out. Thanks Jyrgenn. Will post some more details shortly.